"In my teenage years I got a horrible breakout in different places over my face, someone even called me pizza face, so you can imagine my embarrassment. I normally get one monster blemish somewhere that everyone can see, either on my nose or on my chin and I think it was definitely from stress and sweat from dancing and working too hard, but predominantly from stress. 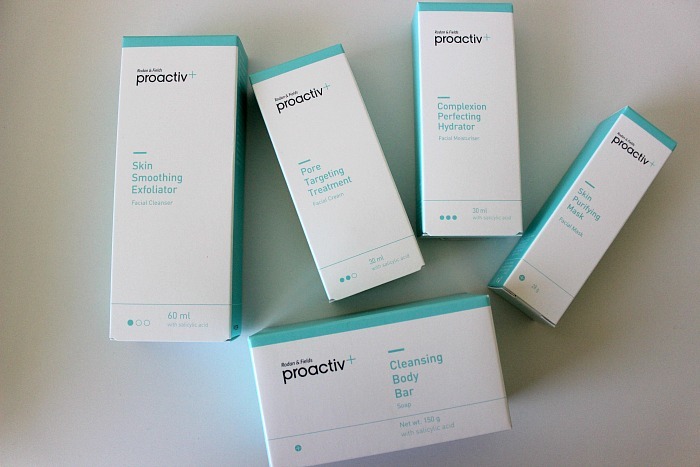 I heard about Proactiv+ from my friends. I've been using it for a bit now and have seen a huge difference in my skin! It feels amazing to have a clearer more glowing complexion. It gives me the confidence to wear less make-up. Sometimes I even go out without foundation on. I keep using it because I know I can rely on it". I'm sure we can all relate to that at some point in our lives, and anything that's good enough for Nicole is certainly good enough for me! 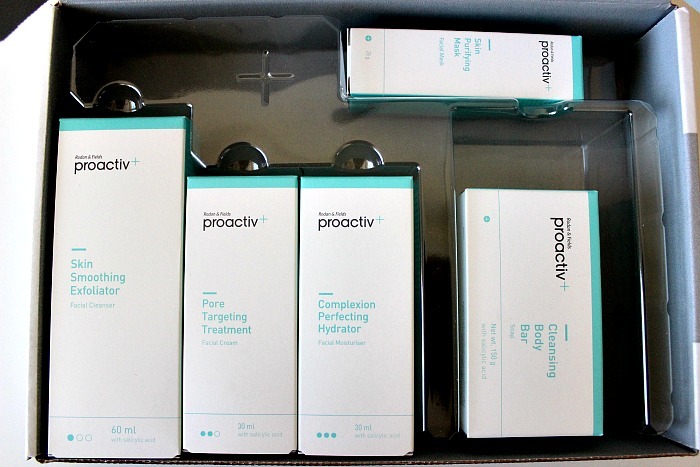 I was very kindly sent the Proactiv+ Introductory Teen Kit* to try and I was so excited to give the whole set a go! I know, I know, I'm far from being a teenager, but the only difference between the Teen Kit* and the Core Kit is the fact that the Teen Kit comes with the cleansing body bar. I don't suffer with blemishes on my body thankfully, but I will still get plenty of use out of this in the shower! 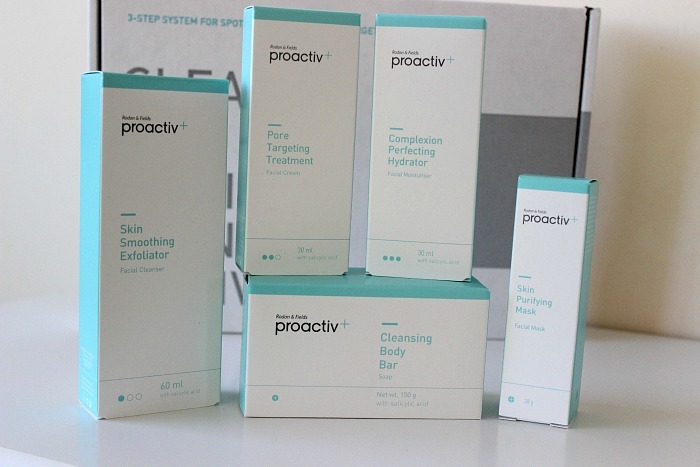 The new and improved Proactiv+ 3 Step System has been specifically developed to deliver more salicylic acid straight to the pores, leaving skin fresh, healthy and blemish-free. Not only do they promise this, they also promise to give a more radiant and glowy complexion, reduce pore size and redness and even out overall skin tone. 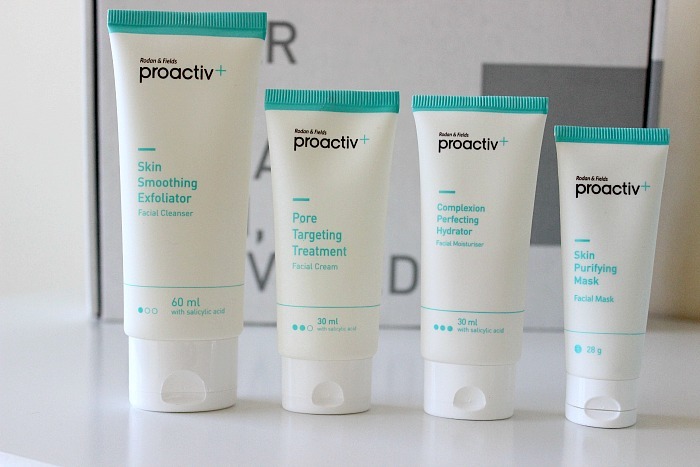 Suitable for all skin types, the Proactiv+ range has been created to be perfect for women, men and teens who suffer from problematic skin, as well as those who just want to improve skin tone - basically it's aimed at everyone. After using the whole skincare system for a couple of weeks, I now feel I can give my verdict on this skincare when used together. I really like this exfoliator, as it's really light feeling on the skin and the exfoliating beads aren't at all harsh. I usually use this after my normal cleanse as I don't feel it would remove my makeup as well as my other cleansers. After using this, my skin feels soft and smooth and ready for the next step. This reminds me very much of the ever popular La Roche Posay Effaclar Duo+ in terms of texture and the way it makes my skin feel. It's really lightweight but sinks into the skin like a serum without leaving it greasy or oily. In fact, it contains a lot of the same ingredients, including Benzoyl Peroxide and Glycerin, both of which have anti clogging properties. I really like this, although I don't really have problematic blemishes so I think I could probably live without it. The one that let the kit down for me. Not that it's a horrible moisturiser by any means, but it's just not rich enough for my skin. I actually had to stop using it after a few days because my skin started to suffer. I think this would be perfect for those with oilier skin-types, but if like me you have dry, dehydrated skin then this is just too lightweight. One I'm still undecided about. Obviously I don't use a mask every night, maybe just once or twice a week when I feel like a good pamper. This mask is white in colour and feels slightly grainy on the skin. What I like about masks generally is the fact they leave the skin feeling so smooth and really pampered, but this one actually leaves my skin quite tight and I literally feel like I need to run to get my moisturiser and oil. I don't know if that's because it purifies the skin and cleans it really well, but I feel it's a little bit too stripping, something my dry skin can't cope well with. I won't say I hate it, because I think there's times when my skin could probably do with a deep clean, and that's when I will turn to this. Cheating here, as I haven't actually opened this yet. I have so many other body products on the go at the moment, and with this being aimed more at teenage skin, I think I'll put off using it for now. Overall I'm impressed with this kit, the first 2 products I really enjoy and think with my regular moisturiser my skin has really been enjoying it. 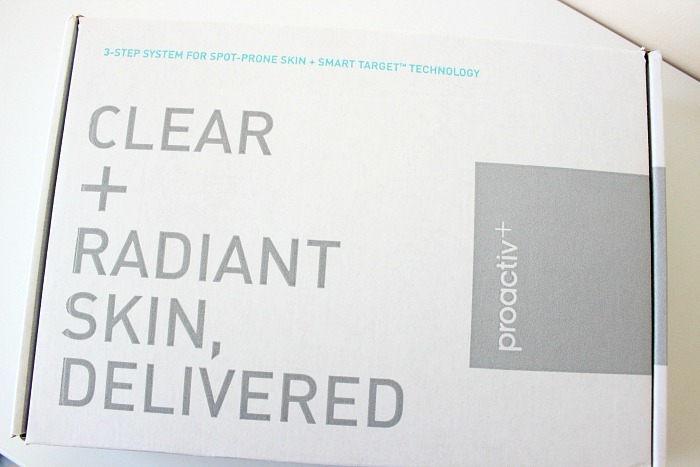 Have you tried anything from Proactiv+? Do you like the sound of this kit?